Blackwaterfoot is a hamlet on the Isle of Arran. The beach is at the foot of steep cliffs and is made up of sand and large pebbles. 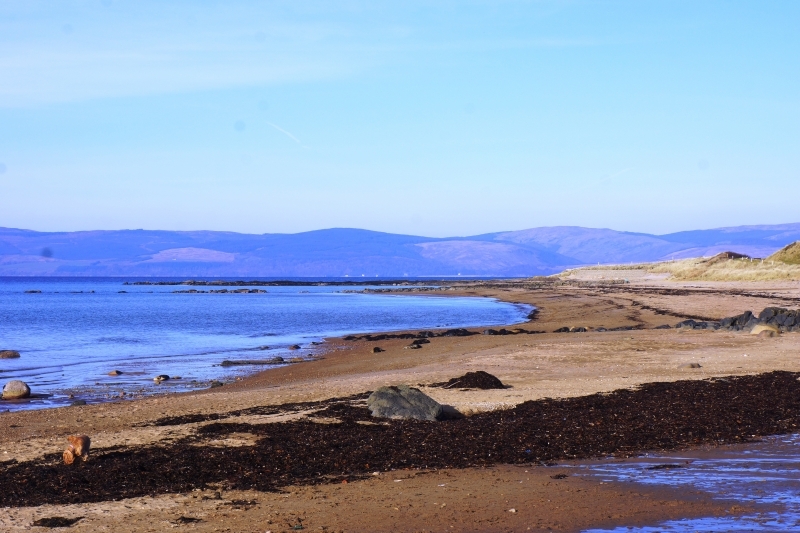 Blackwaterfoot Beach is adjacent to the Arran Coastal Way. The tide at Blackwaterfoot Beach is currently falling. Low tide will be at approximately 10:53 PM, and the next high tide will be at approximately 5:30 AM tomorrow. around 9 miles northeast as the seagull flies, around 10 miles by road. Visitor information for Blackwaterfoot Beach, North Ayrshire, Scotland. Weather, tides, visitor comments, beach facilities, photos, nearest postcode, beach information and nearby accommodation.